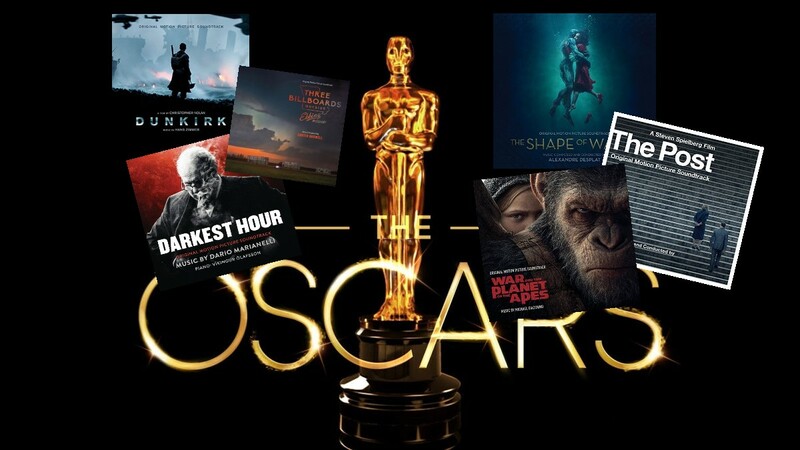 This is the second part of the presentation of the best releases of older scores during 2017. A third part dedicated to vinyl soundtrack releases will follow, for the reason that there were plenty of very interesting vinyl editions of vintage scores on vinyl this year that i immensely enjoyed. I hope you’ll enjoy this second part and i’m already preparing the vinyl edition. Of all four outstanding Tadlow releases during 2017, one specifically was the most important mostly for personal reasons since all the label’s releases of the year were really notable. 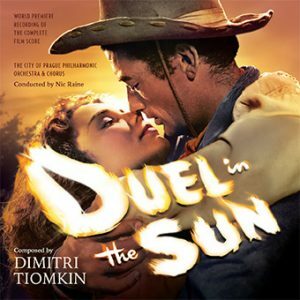 DUEL IN THE SUN, Dimitri Tiomkin’s score for the 1946 David O Selznick’s epic western found a way to a proper depiction for the first time by Tadlow and a great team of gifted professionals. First and foremost the City of Prague Philharmonic Orchestra and Chorus directed masterfully by Nic Raine for the magnificent performance, so close to the original it makes you believe someone found the original masters in pristine condition and released them on cd. This monumental release wouldn’t have existed, however, without the invaluable work of Patrick Russ who assembled the numerous cues composed by Tiomkin and reconstructed the score so as to be presented properly. The very crucial element that makes this release even more important is the fact that there is not one note of music that was included in the movie missing. Just see the film and compare the score as it is heard in it with the sequencing of the Tadlow cd. And we’re talking about a score never before released except of some bootlegs on cd and LP and a set of 78 rpm records that was released back in 1946 to support the box office career of the movie. Tiomkin’s score is benefited by a marvelous main theme and an impressionistic almost wall-to-wall structure as it is ever present in the movie with a few exceptions of dialogue only sequences. It excels in the numerous set pieces of the movie and supports the drama and the epic scope of it in an ideal way. 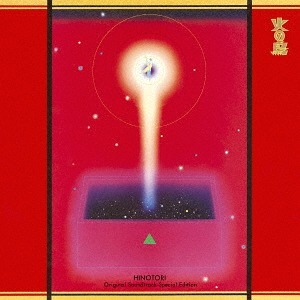 The overall production catches this spirit and offers a rare sonic experience. This release is a landmark treatment of a classic film score and Tadlow needs to be hailed and supported in order to continue with such fantastic projects. A Three disc presentation of the Henry Mancini score for one of the most zany and outrageous 60s comedies from La-la Land label, that instantly caught a place in my years favorites since July 2017 when it came out. 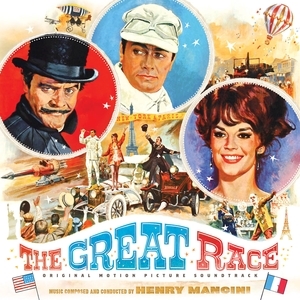 THE GREAT RACE is a delightful comedy adventure, that I enjoy every time I watch, especially the Jack Lemmon’s “Doctor Fate” character and his hilarious outbursts of evilness. Mancini’s score was a hidden treasure up until La-la Land decided to release it in its original form. 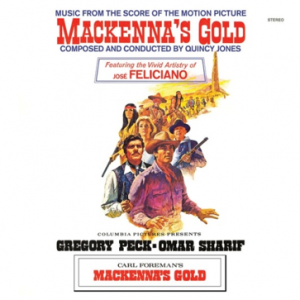 There was an LP presentation in the 60s that included arrangements of particular themes from the score (as it was the common practice with the Manicini soundtracks), but it was essential that a release of the original score should be presented in order to close a large gap to the composer’s discography. La-la Land created an amazing presentation, presenting the original score and outtakes in the first two discs and the original RCA LP program in the third disc in astonishing sound quality. The overall excellence is completed with a lavish 22 pages booklet with an essay about the score and the music written by Jeff Bond. 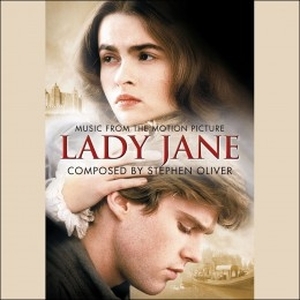 I don’t believe that many people were accustomed with Stephen Oliver’s score to the little known 1986 movie LADY JANE, a somehow blunt (but overall enjoying) adaptation of the short tragic life of Lady Jane Grey who became known as the nine day Queen in the Medieval times. Quartet label released a two disc set in August presenting the full score composed by Oliver for the movie plus a special program that was prepared to be released on LP back in 1986 – but was cancelled after the poor financial performance of the film – with a few special arrangements especially made for this. This album is a marvel and one of the most significant discoveries of 2017, containing a score that is obvious that was composed by a man who had a deep and thorough knowledge of medieval music and instrumentation. Romantic flavor is not absent from the compositions since the longest part of the movie depicts the relationship between Lady Jane and her husband Guildford but there are also moments that reflect royal grandeur in the music that are mostly choral parts with full orchestral accompaniment. It must be written that Oliver was deceased untimely in 1992 and LADY JANE was his only film score. The album was produced under the care of James Fitzpatrick and Lukas Kendall and fairly gets a position among the most significant of 2017. A little noticed release by the Japanese GT Music that caught me by surprise was the first complete edition of the music from the Kon Ichikawa 1978 movie FIRE BIRD aka HINOTORI. This release is worth mentioning because the great Michel Legrand was involved in the score of this surreal fairytale (not among Ichikawa’s best movies), actually the main thematic idea that the whole score is based upon is his composition. The Japanese composer Jun Fukamachi composed the score based on Legrand’s theme, a majestic tune typical of the French composer’s musical idiom. There was an LP released by Alfa label in Japan that contained the Fukamachi score in 8 tracks and also a 45 rpm single by the same label that contained two tracks based on Michel Legrand’s theme. In September 2017, GT Music released not only the original LP program, but also the two Legrand single tracks, plus a lengthy symphonic suite arranged by Legrand and performed by the London Symphony Orchestra plus 4 song performances of the main theme by various Japanese artists that are actually quite interesting. The score is orchestral and infuses lyricism and dramatic depth to the fantasy-fairytale movie, unlike most of the scores from the other Ichikawa’s movies of the period that had a more contemporary scoring approach. Since the vinyl releases are quite rare and expensive I suggest this edition to anyone who’d like to discover one more Michel Legrand superb work, performed and arranged in an ideal way by a top notch Japanese composer. At last, one of the most beautiful and majestic scores I’ve ever heard for a tv movie is available again 30 years after its initial release. 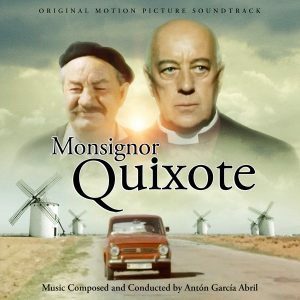 MONSIGNOR QUIXOTE, a very fine tv movie with the adventures of a village priest and his companion – a village mayor – around Spain, based on a novel by Graham Green, was aired in 1987 and benefited strongly by the music score Anton Garcia Abril composed for it. Abril, one of the most renowned Spanish composers who worked for the movies and television offering some amazing work, composed a work of exquisite beauty, based on harmonies of Spanish traditional music but using a full orchestra and specific solo instruments as the guitar and flute. The versatility of the melodies and the ideas is so vast that the almost 45 minutes of the album pass and you realize that you need to repeat the listening instantly. Abril’s music was formerly released by Red Bus in England in a very limited edition on LP and cd, and it was almost impossible to locate a copy until now that Rosetta Records, a newly formed independent label from Spain, acquired the license of the score and released it once more, offering film music fans a great opportunity to discover a little musical masterpiece of subtlety and grace. 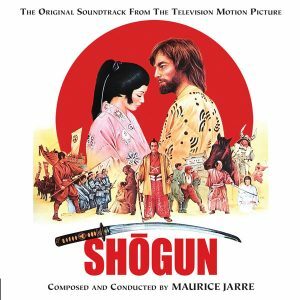 Almost ten years after their premiere cd release of the LP program of SHOGUN, Intrada gave the complete score Maurice Jarre composed for the unforgettable 1980 tv mini series. And what a production they offered! A triple cd presentation with the music from all five parts of the series, plus the original LP program (released by RSO in 1980) together with numerous bonus tracks and unused material Jarre composed. I always believed that the original album, while very finely assembled, did not do justice of the enormous amount of music Maurice Jarre composed for the 6 hour duration series. It’s not only a gargantuan score, but it’s also an outstanding work of art, while Jarre – having studied Far Eastern music and instrumentation – utilized many ethnic instruments and exotic orchestrations in order to provide the magnificent production added authenticity and dramatic power. The 28 pages booklet includes very informative and detailed notes about the production and the music written by John Takis. This release was one that I was expecting to come for a long time, and it did with the ultimate finesse and appreciation by the good people at Intrada. ITSCOREZ presented the Quartet album when it came out and we proclaimed this as one of the most important releases of the year. 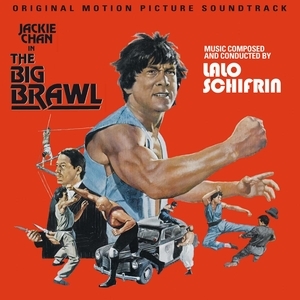 Quartet reissued the original LP program that Victor released only in Japan in 1980 including the Lalo Schifrin’s masterful score for this Jackie Chan first attempt on the International market. Every note Schifrin composed is included plus the business as usual superb informative booklet with notes by Gergely Hubai. Quartet should receive a high acclaim for this release, a missing link to Lalo Schifrin’s discography. A delightful labor of love by La-la Land and Mike Matessino, this definitive 40th anniversary edition is the quintessential treatment for a masterpiece of that caliber. 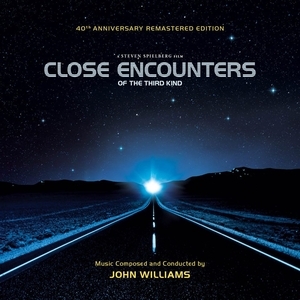 The former releases of John Williams’ score for the Steven Spielberg masterpiece were the initial 1977 album presentation that was released by Alhambra in Germany and Varese Sarabande in the States and the 20th anniversary edition that was released in 1998 by Arista Records in a lavish digipack case. This 20th anniversary edition was engineered by Shawn Murphy and included the film score as it was composed for the movie, leaving out every arrangement prepared and included in the other albums. This new anniversary edition by La-la Land presents for the first time the initially intended double LP program (arranged by Matessino into the form of a symphonic work!) plus the complete score as it was included in the movie plus many alternate cues and extra tracks. I should also mention the tremendous work that’s been done on the sonic quality of the discs that offers a new dimension of the score to all of us who demand perfection on a landmark release like that. The year closed with the – in my agenda – best release of the year. After decades of waiting, Intrada released one of Jerry Goldsmith’s best action scores. Besides the unsurpassed problems of having lost all the masters of the synth overdubs Goldsmith composed to enhance the orchestral score, the dream of a release of the entire score intact and with no omissions came true. Intrada recruited Leigh Phillips, who recreated all the synthesizer music of the score that were missing and the result was unbelievable. The quality of the arrangements is identical to the originals and they fit like a glove to the 1977 masters. DAMNATION ALLEY Intrada cd was presented by ITSCOREZ last December in detail and this magnificent release was a real Christmas present for all film music fans around the world. 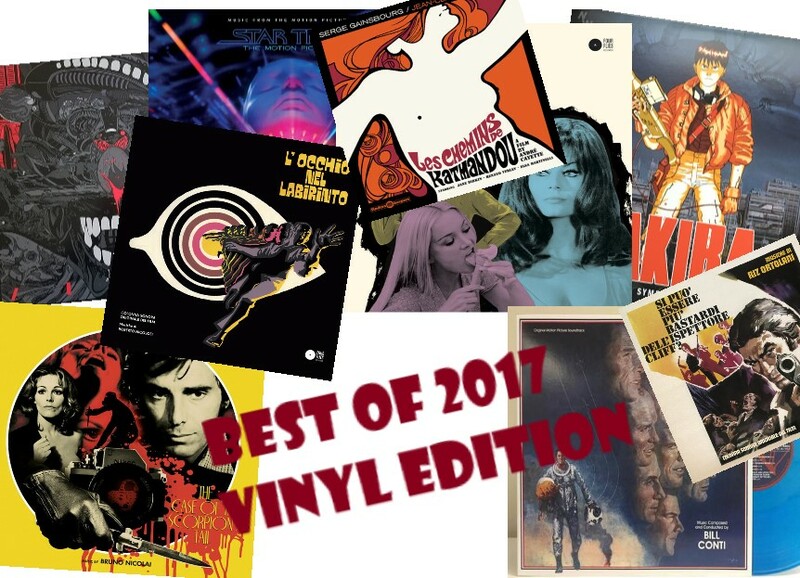 THE BEST OF 2017 – VINYL EDITION!